It's now official : Paul McCartney is coming back to Montreal and Quebec City during the Fall of 2018! He will be playing at Centre Vidéotron, in Quebec City, on September 17th, 2018, before coming back to Montreal for a show at the Bell Centre on September 20th. 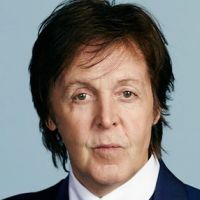 Sir Paul would be making his return in the province of Quebec for the first time since 2013. Paul McCartney last performed in Montreal, in July of 2011, on back-to-back nights. Don't miss Sir Paul as he performs Beatles songs, Wings songs and solo songs in Montreal!